The Africa Leadership Initiative South Africa’s inaugural class, marked the beginning of a dream conceptualised by Peter Reiling and Isaac Shongwe. This carefully handpicked ‘army’ of 15 has seen a number of ALI SA Board members, from Ralph Freese, who not only sat on the board until a year ago, but went on to moderate a private session for ALI fellows who wanted a weekend of reflection; Leslie Maasdorp, was also an ALI SA board member who is now Vice President of the New Development Bank; Bruce Robertson is on the current Board and known as the ‘calm’ moderator; Bongiwe Njobe is also serving on the current board. This cohort has some really impressive Fellows who have clout in media, business, education, science and the Arts. A true reflection of leadership that has definitely moved from success to significance. The inception of great African minds coming together to promote the Good Society. Class Kilimanjaro essentially hosts a calibre of fellows who are high climbers and mountain shakers. They range from the accomplished Editor of City Press, Ferial Haffajee, who recently released her first book, What if There Were No Whites In South Africa; accomplished journalist Justice Malala, author of We have now begun our Descent. Both publications have proved to be well-placed arguments in a presently disgruntled South Africa, and both books were incidentally no 1 and 2 top non-fiction book sellers for Exclusive Books in the same week in 2015 and Sunday times Bestsellers top 3 in January 2016. Dr Mothomang Diaho and Futhi Mtoba, founders of TEACH South Africa, one of our most successful ALI projects to date; Watanan Petersik, Heather Sonn and Dele Olojede, who went on to become our prized ALI SA moderators; Roger Dickinson whose passion for uplifting communities through spell bees and open dialogues on pertinent issues such as xenophobia; Ann Lamont crafted the ALI strategy document; Chief Emmanuel Legida, the Founder and Chairman of the first Black owner-managed stockbroker firm in South African stock market and – to name just a few. Adrian Enthoven is ALI SA’s Chairman, a highly accomplished businessman and dedicated philanthropist. 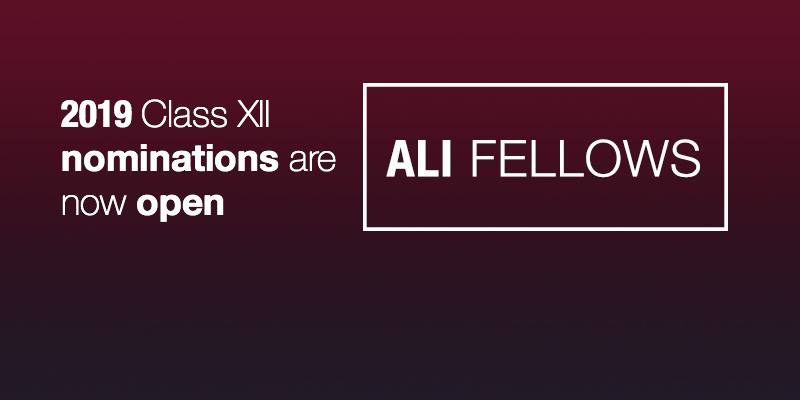 The fellows of Class II bolster the giving back to society mission and crafting the good society statement that ALI SA strongly stands for and thus has subsequently paved the way for the eight and still counting latter classes. The fellows in their individuality, are still scaling new heights and leaving their positive mark in society – a true strong character trait that can be likened to the heroism associated with the few that endure and successfully climb Mount Kilimanjaro. Seriti – An original Sotho word; which literally means dignity and integrity, aptly describes this group of fellows who inspire, promote and restore the dignity and integrity of those in dire situations. This class boasts of some of the best projects and fellows in the legal fraternity, business, media, art and education. From Dr Lungile Bhengu Baloyi, Director of African Midwives Institute and a social Justice Advocate who tackles poverty alleviation and inequality as some of her many day to day assignments; Nicola Galombik who founded Harambee in 2011. Harambee connects employers looking for entry-level work seekers and places around 10 000 employees a year; Fred Swaneker, co-founded African Leadership Academy, the continent’s only pan-African high school, having admitted over 700 students from over 45 African countries to date; Charles Luyckx, who is one of the founding directors of Nando’s UK started FUEL with three other fellows, ensuring that government feeds school going children two healthy meals a day; Vuyani Ngalwana, a well-respected SC from the dusty streets of Gululethu to becoming well known through his extensive contribution in several publications, breaking down complicated legal cases for the layman to understand; Neo Muyanga, brilliant musician who has recorded several albums over the years and stepped up to be Radio 702’s stand in just this past Friday, reminiscing on his days on radio; to Thina Siwendu who is on the current board of ALI and has served as Acting Judge in the Gauteng Local Division in the last two years. ….these are only some of the phenomenal fellows of the ALI SA class III cohort, read on and get acquainted with this exceptional class. Ukukhalipha in isiZulu means to be sharp and can be loosely translated as being ‘clever’. This cohort of fellows can be described as such and they take leadership to the next level. Kalipha has some phenomenal fellows: Gary Campbell spearheads an ALI project called Fuel. Through Fuel Gary and a few fellows ensure that 9 million learners in various provinces around South Africa are fed 2 meals daily. David Kalombo is still heading one of the biggest HIV & AIDS treatment programmes in the country, helping those affected to have a chance at a normal and healthy life. Joshin Raghubar, an entrepreneur and communications specialist, is on the current board of ALI SA. When moderating a few ALI classes, Derek Thomas discovered he enjoyed the task and he now continues to moderate YALI classes and was in Kenya this past April moderating the ALI Media class. Sibongile Khumalo, who needs no introduction, is a musical phenomenon whose voice has been critically acknowledged ‘as one of the greatest natural instruments in use anywhere in the world’. This cohort boasts a broad-spectrum of talent from the driven Percy Mahlati, medical doctor turned author/founder of the African Institute of Health, the irrepressible Advocate Michelle Odayan’s commitment to giving the voiceless their voice in society, the fearless Trevor Ncube speaking truth to power, to governance specialist & ALI-SA board member Zohra Ebrahim. The fellows of Class V have truly armed themselves in all aspects for the battle to promote the Good Society and this is evident from their contributions to their respective communities – sectors, countries and professions. Ge dikgomo tše di tshelela ka mošola wa noka di ka hlaselwa ke tau. If the cows cross-over to that side of the river, they may be attacked by a lion. This example embodies the transformational journey of the fellowship and in a great number of cases promoting the Good Society invites attacks from ‘lions’. The smallest cohort in the fellowship, these Fellows ‘punch way above their weight’ as can been seen from the impressive credentials. Continue to influence others to Tshelela to the Good Society. The word Dinatla means the strong ones in Sotho and denotes strength, willingness to excel and hardworking. This aptly describes the spirit of this cohort, from the tenacious Bheki Makhubu whose relentless promotion of the good society in the Kingdom of Swaziland resulted in his unlawful imprisonment and stirred his classmates into supporting his family until his eventual release to the proud moment when Rejane Woodroffe bagged the prestigious McNulty Prize in 2014 for her Bulungula Incubator Project. Drawn from business, government and civil society then thrown together over twenty-four months & four seminars – The Challenge of Leadership, In Search of the Good Society, Leading in an era of Globalisation & the Promise of Leadership. The programme captured the energy, talent and resolve of these outstanding leaders, engaging them in confronting the foremost challenges of our time. Their transformation – literally lifestyle changing in some instances – has been amplified through their spheres of influence. This cohort boasts two members of the current ALI SA board and a deputy Governor of the South African Reserve Bank. Truly Mahube – meaning “a new dawn” in the Setswana language. The ninth class of the Africa Leadership Initiative SA Fellowship program commenced in May 2014 and 20 Fellows graduated in September 2015 to become part of the broader Aspen Global Leadership Network, currently consisting of 2200 Fellows across 48 countries, all committed to “making a dent” in the foremost societal challenges of our times. The Tariro Class has been very active post-graduation – arranging moderated discussions to deliberate on pressing issues in South African society & raising funds for the victims of the recent country-wide xenophobic attacks. The Africa Leadership Initiative SA Fellowship program was established to create & nurture a network of enlightened leaders who accept the primacy of the common good and are prepared to act to accelerate South Africa’s development. To this end, ALI SA selects an annual class of some 20 successful leaders drawn from business, government and civil society who participate in four one-week moderated dialogue seminars over 18 months which culminates in each Fellow launching a new venture that stretches them and hopefully leaves a positive impact on their communities. Over the last decade, we have graduated 170 Fellows from across Southern Africa in the effort to drive conscious leadership and actively build the “Good Society”.